Back in the day, when I was a toddler, the grocer was like a family friend. When we went into the supermarket, the butcher would see us coming and set his slicer to thinnest mode and get ready to cut some veal for Wiener schnitzel, just as my mother liked it, he would chew the fat with her and give me a saveloy. Grocer’s over time became more impersonal and started focusing more on customer acquisition with ads and inserts in newspapers and local rags. Then of course subscriptions to the NZ Herald died down to a trickle and they went to a wireless subscription model, which started with a free Kindle for a 2 year subscription and the local papers are down to 1 per week if you’re in a well populated area. Impersonal probably isn’t fair because of course I now have a tablet magnet mounted on my fridge which the F&P fridge scanner talks to and that send the order direct to my local Countdown supermarket for pick up (if I want to touch and feel the fruit or extra little things) or home delivery. The tablet is connected to the home network and lets us watch cooking lessons, checking if we need any of the ingredients to be added to the shopping list, as well as the usual things like streaming music, TV, Skype, internet etc. just as the other tablets around the house do. Anyway, I was talking about the switch from acquisition to retention, or back to basics, but using modern technology. I was getting frustrated with the construction at our local supermarket, but am now so impressed with the way they have embraced social media in and out of the store with their new studio. Well it looks like a recording studio, but basically it has no window, so that you can talk to the guys while they are running Facebook, Foursquare Check-In Deals and Twitter campaigns with big video projector displays on the wall showing discussions they are having within and outside of the store. These people are getting to know real customers and having relationships with them, generating loyalty that reminds me of the way grocers used to do it back in the day. I remember the story that a friend told me many years ago, of how she went to Lincoln North Pak N Save with twin girls who were really hard to manage. The owner John Street went to her, gave her his business card and said to call him personally and he would arrange for someone to entertain the twins while she was shopping. I spoke to him subsequently, although he didn’t know that I knew them personally and he explained. A loyal customer like her who spends around $150 a week (I know it was a long time ago) is worth more then $23,000 over 3 years. Now if you think about what it costs to get a new customer, an investment in social media, taken from what they used to spend on daily newspaper advertising isn’t much is it? Westfield has stemmed the tide of decreasing shoppers in malls this winter by providing dozens of Electric Vehicle charging stations at shopping malls around New Zealand and Australia. Over the last couple of years many people have been buying electric vehicles, but have found that the range of up to 160km, which wasn’t too bad during summer, reduced dramatically with the use of air conditioning and window heating to warm the car in winter. This reduced range combined with a continuing decrease in the frequency of people going to shopping malls provided the impetus for Westfield to come up with a new loyalty program for shoppers combined with a mobile application. Effectively by using their mobile loyalty app, shoppers are rewarded with credits they can use of various purchases, one of which can be redeemed by parking at one of the EV charging stations at the mall. This not only encourages people to visit the mall, but also to stay longer, whilst electric car owners make sure that their car is fully charged before they leave the mall. The application lets loyalty shoppers know when there is a car park available and guides them to it. It also alerts them when the car is fully charged. A spokesperson for Westfield New Zealand said that already in the last 2 months they had seen significant use of the charging stations and many retailers, particularly fashion and the food halls and cafes have seen a regrowth in trade. Event Cinemas have also announced that they are going to trial a number of EV chargers in selected movie theatres in Australia in conjunction with their CINE BUZZ loyalty program. Each time a CINE BUZZ member has purchased 5 movie tickets they will be entitled to a full car charge for free. 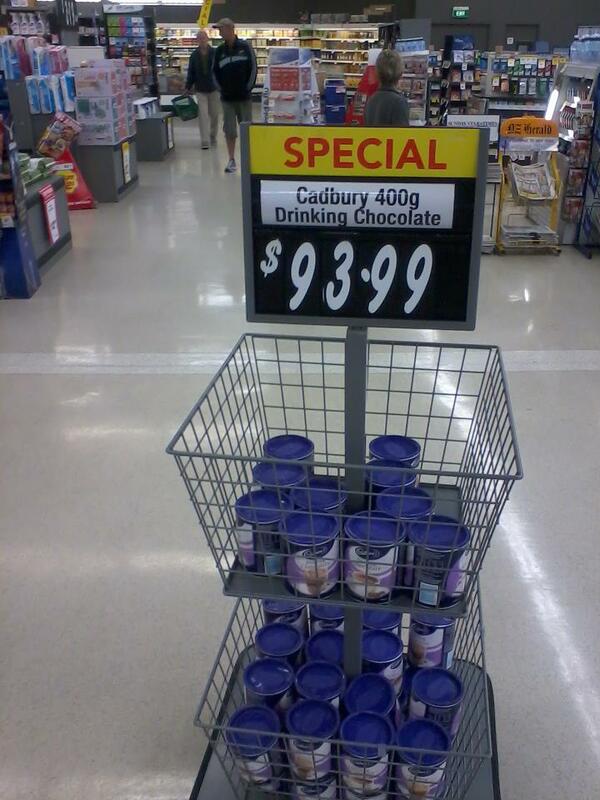 I was so excited when Borders arrived in New Zealand. I used to love going to the Borders stores on trips to the USA. There were frequently book signings, bands and recording artists, like the BB King autobiography launch in Chicago. You could read books in the cafe and no one would look at you as if to say don’t smudge that page, cause you’re buying it. People in the different departments knew about their topics and loved books and sharing their knowledge. I walked past the site of the old Westfield Albany Borders store site yesterday, it had changed to Whitcoulls brand in 2012. A year later they were back in a much smaller site, obviously the sales volume didn’t cover the cost of such a big site. They had tried to embrace eBooks for a while, but selling expensive readers and not making it simple for your average reader to get books for them just further demolished their traditional business. 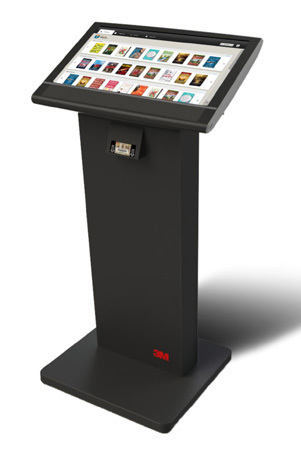 Meanwhile some of the smaller owner operator stores followed the example of retailers such as Pages & Pages in Australia, by installing eBook Kiosks in store back at the end of 2011. In recent years eBook kiosks have arrived all over the place. They are in convenience stores, magazine stores, libraries, airports and train stations. They all come with their own WiFi network and are very user friendly. Many combine loyalty and the profiling that we continue to enjoy from Amazon, giving us recommendations on what we may enjoy reading and the instructions are simple enough for most people to step through. If you’re heading for a flight or will have time to read the book within 21 days you don’t even have to buy them any more. International libraries mean that pretty much any book you could want to read can be available to you on demand. Personally a favorite feature for me is the international eBook gift registry system. I remember a couple of years ago when I was having a browse at the kiosk at Schiphol Airport on the way back from a location based marketing conference in Amsterdam and saw that my wife had prepaid for copy of the second in the new Stephen King Joyland series for me to read on the flight home. Just as well she doesn’t read King books though or I might never get her into an amusement park again! The other thing I love about these kiosks is we now get books released all over the world at the same time, which was one of the reasons I used to buy my books from Amazon, I didn’t want to wait 2-3 months after the official US launch of King books before the publishers launched the new best seller here in New Zealand to coincide with Fathers’ Day. Anyway, RIP Borders, you left too soon. It’s a shame you stopped innovating. You didn’t need to go under, you just needed to be smarter than the rest which you used to be. It’s funny how industries work so hard to create a self fulfilling prophesy that they can blame when things go wrong. It was just another ordinary Saturday morning. I woke up, showered, made myself a Capuccino, scanned the now empty milk bottle out of the fridge and listened to the new Rolling Stones album on Spotify. Who would have thought they would be launching another album? I have to tell you mockers, it has some really good tracks on it. Maybe you forgot what great songwriters those guys are. My wife and I decided to go out to brunch and I plugged my iPhone into my Belkin car mount which still has that bit on the top that broke the second day I got it. I love it but I must get around to claiming on the warranty. It connected to the Wi-Fi entertainment system in the car and we drove off listening to the rest of the album. I must say, whilst I still have all my record and CD collections, that I am loving Spotify. I just can’t believe how long it took them to get to New Zealand. Anyway, so we were heading down Oteha Valley Road in Albany when the heads up display in my car told me I had a notification from Fly Buys. I used to mock those loyalty systems, but things have changed since they picked up Proximity Based Marketing. 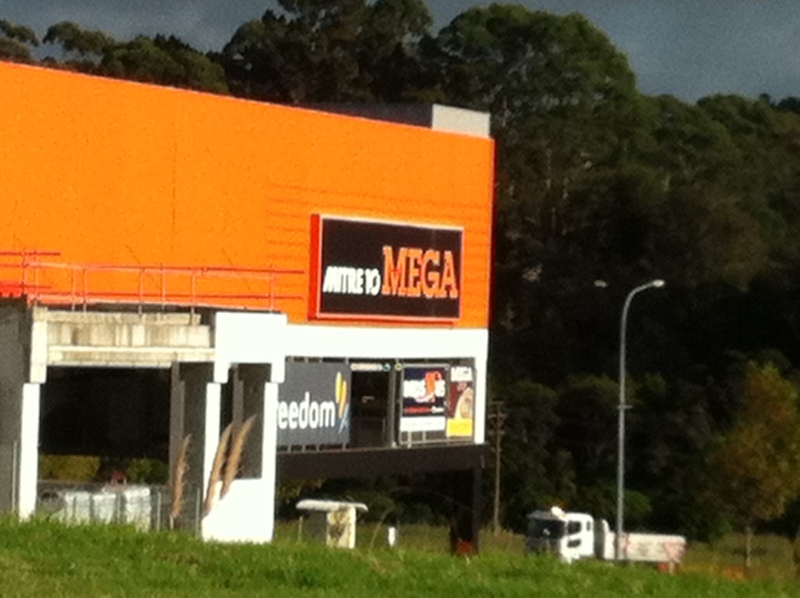 Anyway, it said Mitre 10 Mega had an offer I couldn’t refuse if I could get there in the next 15 minutes. Well we were about to drive right past, but we agreed we might as well stop, and their cafe on the 1st floor was pretty good. We arrived and I put the Belkin in the boot (next car I get the entertainment system will just connect to my phone and it won’t need a mount, isn’t it funny that no matter what advances there are we are never satisfied?) so my car wouldn’t get broken into and were walking through the car park into into the entrance, just as my mobile got another alert. I did that and all of a sudden there was a bit of loud music and a green light started flashing above the information counter. There were a few people entering the store with us but when the girl called “Over here Mr Cappel”, I figured she meant us. Well to cut a long story short, I had purchased a new battery powered lawn mower there 6 months earlier and they were running a location based promotion. The deal was that the first person who had bought a lawn mower from them in the last 12 months who responded to the promotion by coming into the store within 15 minutes of the of the proximity based notification, was going to be given a free leaf blower / leaf vacuum mulcher, and guess what, the first person was me. Our neighbors still hadn’t cut down the giant oak tree that bathes my driveway in golden brown crunchy leaves every May, so this was a pretty good win. Of course while we were there we bought some more plants and had our brunch, did I say they are nice people in that cafe? I enjoyed sucking up those leaves with my new toy in the Saturday afternoon autumn sunshine (sunny weekend? I know, right!) that afternoon and made sure it got locked up in the shed straight afterwards, so the dogs wouldn’t chew up the bag like the did on the one I bought a few years ago, the day after I bought it!